I have a special treat for all of you today. Especially those of you who didn’t like my eggnog posts. How do you feel about peppermint? These are so easy that even your kids can do it! Or your husband. Dip one end of the graham into milk chocolate, lay on parchment paper. Repeat with all grahams. Allow to set (to speed set, stick in fridge for 15minutes). Dip other end in white chocolate and immediately sprinkle with crushed candy canes. Allow to set. I love super easy treats..especially ones that have twice the chocolate and then peppermint:-) Yum!!! Oh so yummmmy!!!!!!! I am now following you and I hope you will follow me back. Would you link up with my Handmade on Humpday link party going on now? You can find it at http://www.createdbycori.blogspot.com I look forward to more of your cute ideas! Okay so I’m just going to admit it…. I HATE eggnog. I mean I really really cant stand it! So please dont hate me! lol Now on the other hand, this sounds awesome! Another winner here Aimee! love your recipes and it’s been fun getting to know you on instagram, too! 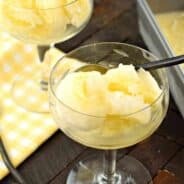 You have the best sweet recipes I have seen. 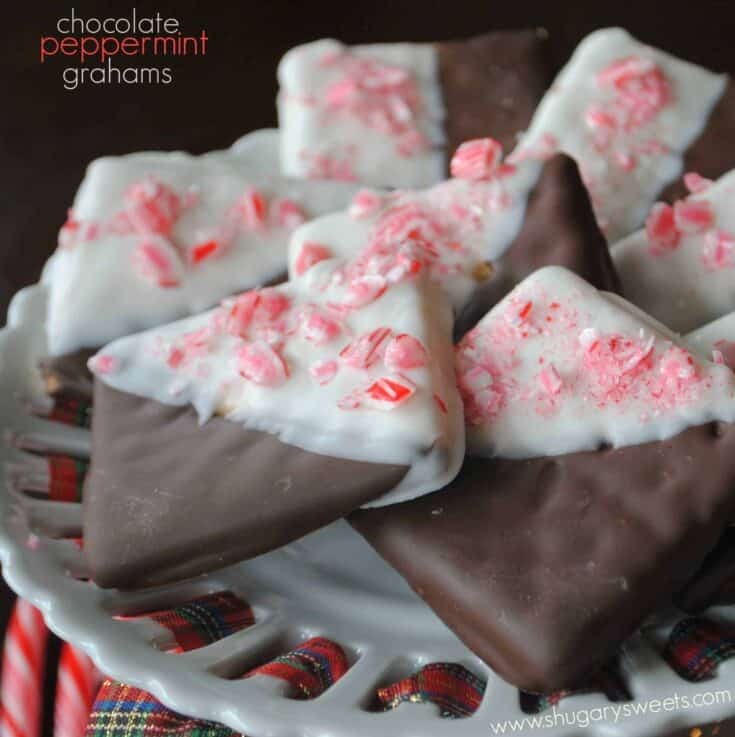 I love peppermint and with graham crackers, oh my! You always come up with the best sweets! Thanks for this one too! Another great idea – simple, pretty, and fun. Thanks for sharing! 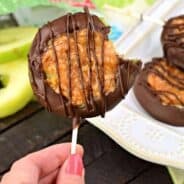 These look absolutely delicious!!! Gonna have to try them. looks so yummy! cant wait to try them! Thanks for sharing! Yum! These look so greay! I have a blog hop running through today & would love to have you join in! What a great treat, I just love the chocolate Peppermint combination. Thank you so much for sharing with Full Plate Thursday. Hope you are having a great week end and come back soon! Mmm, My kids are going to begging for me to make these! Love these! They’re so simple but look so impressive! 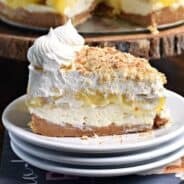 I’d like to invite you to share your recipe on Sweet Indulgences Sunday! Just wondering I got cinnamon graham crackers. will these work for this recipe or should i go and purchase the plain ones. OOO Be sure to add these as well! They look super delicious! These are really cute and delicious treats, I love it! We made something similar growing up, although NOWHERE near as pretty! So easy and so fun! Love this idea! I think my 6 yr old and I will make these for the teacher.thanks!!! We used to make these at the candy store I worked at. They are yummy! Thanks Alice, they are so incredibly easy, and quite delicious! I just made these, they are so,pretty. I used Keebler deluxe Graham’s as they already have the milk chocolate and dipped in white chocolate and sprinkled the crushed candy cane on top. Just dipped one half. Turned out great for a holiday gathering this week-end. Just may have to buy another bag tomorrow! Tried them with Wilton candy cane burst white chocolate also. Great!